I hope you enjoyed Mother’s Day. I had a gorgeous day with two of my three children coming for breakfast. My eldest daughter Michelle was excused as she was desperately in need of a sleep-in. She is the mother of a 1 and a 3 year old. Need I say more? We took our grandson for the morning which is always a delight. I felt very blessed to have family around. I have to say I am always a little hesitant to wish people happy Mother’s Day as I know it can be really difficult day for women who are struggling with infertility, have lost a child or have lost their mum my thoughts go to them all. Today I want to talk to about depression. I’ve read several books recently that throw a big spanner in the works of our current understanding and treatment of depression and other psychiatric conditions like anxiety, bipolar, OCD (Obsessive Compulsive Disorder) and schizophrenia. In 2010 Robert Whitaker published a book called Anatomy of an Epidemic which explored the history of Psychiatric medication. He collated and analysed an enormous amount of research that’s on depression since the advent of psychiatric drugs. Whitaker points out that despite the unprecedented numbers of people being on psychiatric medication the number of Americans on disability payments for mental illness has doubled since 1987. And despite the widely held belief that depression is an imbalance in brain chemistry not one human study exists that supports the theory that it’s is caused by low serotonin levels. Serotonin is a feel good brain chemical and most antidepressants are designed to increase the amount of serotonin in the brain. These antidepressants however, when used long term, cause changes to the brain that create dependence. Most people know that suddenly stopping antidepressants in risky. This is actually due to withdrawal symptoms because the brain has adapted to compensate for the drug. It takes time to change back to normal and if drugs are used long term it can cause permanent changes. Those withdrawal symptoms appear as depression so it becomes a very vicious cycle. According to Dr Kelly Brogan, Psychiatrist and author, giving antidepressant medication to depressed patients is like giving alcohol so someone who is sad. They feel better initially but as soon as they sober up they feel much worse. They are still depressed and now they have a hangover. Dr Brogan is a Psychiatrist who spent most of her career doing what she’d been taught in medical school. She would diagnose psychiatric conditions based on the DSM (Diagnostic and Statistical Manual of Mental Disorders) Dr Brogan, like 99.9% of psychiatrists, would diagnose and prescribe psychiatric medication to virtually every patient. She now says that in all the years she was treating patients in the conventional way she never cured one person. Now, however, she’s stopped prescribing altogether and uses what she calls lifestyle medicine. People are now cured every day in her clinic. Dr Brogan MD, recently published a book is called A Mind of Your Own, the truth about depression and how women can heal the bodies to reclaim their lives. Of course the same lifestyle medicine applies to men but Dr Brogan specializes in women’s health so that’s her focus. So how does she cure depression, anxiety, bipolar or schizophrenia? Well the simple, natural truth is that her treatment includes dietary changes, exercise, detoxing, reducing inflammation, rectifying any hormonal imbalance, repairing gut function and normalizing any disruption to the immune system. Sound familiar? If you’ve been reading my newsletter for any length of time you’ll know that these are the things I talk about repeatedly. These are the things Naturopaths are specifically trained to do. Clean up their homes from toxic cleaning products and personal care products. Get a good quality water filter to avoid fluoride, a known neurotoxin. Repair their leaky gut syndrome, the most common cause of inflammation and depression. Relax, meditate and keep their lives in balance. Although they do exist its a rare thing to find a doctor or Psychiatrist who addresses all of these things. 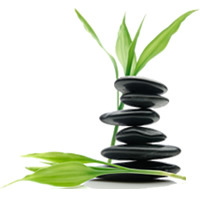 Unlike most conventional medical practitioners Dr Brogan understands that the mind body connection is a two way street. Although its becoming more widely accepted that the mind can heal or sicken the body, it’s a fairly new concept that the body can affect the mind. Basically the brain is an organ that resides in the body. If the body is not well the brain will not function well. Thoughts will be toxic and hard to control. I read about a painter a few years ago who struggled with severe depression except when he was on holidays. During one holiday at the beach he was walking on a pier feeling fine and enjoying his day. All of a sudden he felt a wave of depression come over him and he felt terrible. After a while he realised that the pier was being freshly painted and discovered that it was the paint fumes that had triggered his depression! Another client of mine with depression reacted to chocolate! She’d done endless talk therapies and been on medication but she discovered through Kinesiology that it was actually chocolate that triggered her. She stopped eating chocolate and her depression was over! As I mentioned, Naturopaths have been specifically trained in “lifestyle medicine” and although we’re not allowed to say that natural therapies can cure anything, I have no hesitation in saying that when the brain and the body are free of stress and toxins and when they have all the nutrients they require, they have the ability to heal themselves. If you or someone you know have been diagnosed with depression then please don’t stop taking medication without your doctor’s support. I highly encourage you to make an appointment with one of our Naturopaths, Anna or Kimberley. This week they are offering an initial 60 minute consultation and assessment at 50% off the normal price of $125. That saves you $62.50 and it could be life changing. If you would like to explore the true cause of your depression then call us today on 9842 7033 to make an appointment. This offer is only available to a limited number of people this week so be quick to call us.